March 3-24 Dignity- Works by Clint Roscoe at Artbeat Studio Inc. Join us at 4-62 Albert St. for First Friday! 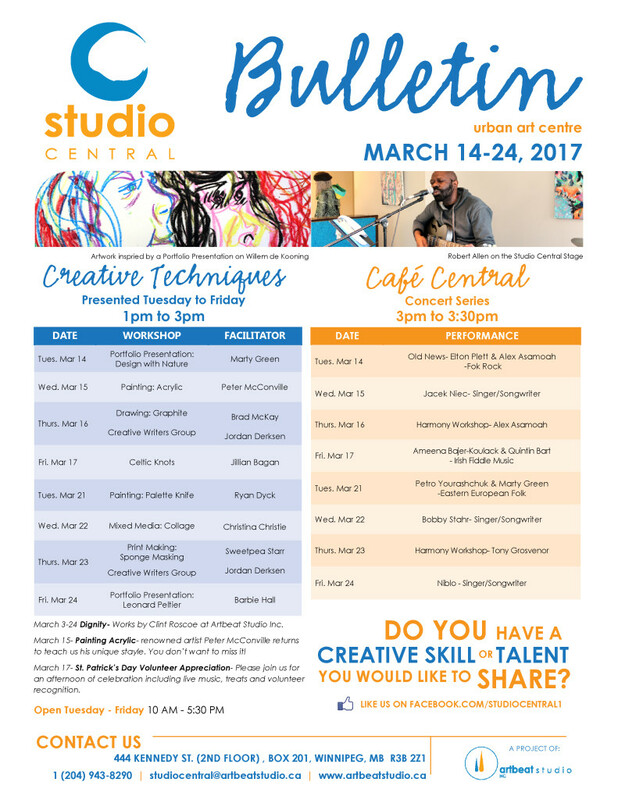 March 15- Painting: Acrylic- renowned artist Peter McConville returns to teach us his unique style. You don’t want to miss it! March 17- St. Patrick’s Day Volunteer Appreciation- Please join us for an afternoon of celebration including live music, treats and volunteer recognition.